An introduction for everyone. 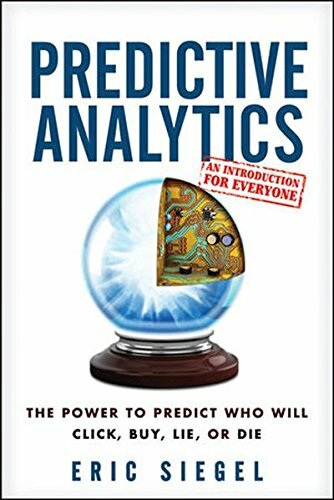 In this rich, fascinating â surprisingly accessible â introduction, leading expert Eric Siegel reveals how predictive analytics works, and how it affects everyone every day. Rather than a âhow toâ for hands-on techies, the book serves lay readers and experts alike by covering new case studies and the latest state-of-the-art techniques. Predictive AnalyticsÂ unleashes the power of data. With this technology,Â the computer literally learns from data how to predict the future behavior of individuals. Perfect prediction is not possible, but putting odds on the future drives millions of decisions more effectively, determining whom to call, mail, investigate, incarcerate, set up on a date, or medicate. How U.S. Bank and Obama for America calculated â and Hillary for America 2016 plans to calculate â the way to most strongly persuade each individual.